Chadwick Boseman’s playful remarks toward his castmate brings up a point fans certainly thought about during a second viewing of Avengers: Infinity War in his birthday message to Chris Hemsworth. The jab towards Thor refers to the beginning of the movie when Thanos had not yet collected all the Infinity Stones into his gauntlet, and Thor promised he would kill the Mad Titan. Fast-forward to the end of the movie, Thor decided to throw his Stormbreaker ax into Thanos’ chest instead of going for his head, setting off a chain of fumbles for the mighty heroes. Black Panther was one of the casualties of Thanos’ victory, so maybe Boseman’s tweet comes out of spite? Following the huge success of Black Panther and the confirmation of the next Spider-Man film, even though Peter Parker wasn’t feeling so well at the end of Infinity War, Boseman is more likely wisecracking the Marvel fan base who have showed some annoyance for the events in Infinity War. Star-Lord racked up quite some hate from audiences of Avengers: Infinity War with his rash actions that forced Doctor Strange to give up the Time Stone to Thanos. Hate even started coming Chris Pratt’s way, leading the actor to respond in defense of his character, explaining the character had just suffered the loss of the love of his life, and how the Guardians of the Galaxy have a humanity that sets them apart from the other Avengers. Director Joe Russo recently argued that the fans should be just as upset with Thor as they might be with Star-Lord due to the same moment Chadwick Boseman refers to in his tweet. 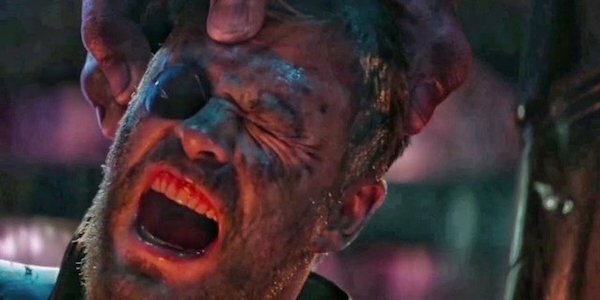 Russo said that Thor didn’t go for the kill to send a message to Thanos that he got his revenge, and the entire universe might have to pay for it, as far as the Marvel Cinematic Universe is concerned anyway.